The sentiment seems to pit McMaster directly against Trump, who is reportedly leaning toward decertifying the deal next week, according to numerous news media accounts in recent days citing administration officials. McMaster’s purported views on Iran may be in part divined by his history of serving at a UK-based think tank financed by a controversial, George Soros-funded group identified by the Obama White House as central in helping to sell the Iran nuclear deal to the public and news media, as this reporter documented. Breitbart News also reported that the IISS is heavily bankrolled by multinational corporate firms doing billions of dollars in business in Iran. The business deals are up for regulation by the U.S. government and the transactions are in direct jeopardy by the possibility of the Trump administration further sanctioning Iran or declaring Tehran in violation of the international nuclear accord. In its report on Thursday, CNN confirmed with two senior US officials that Trump is indeed planning to decertify the deal next week. CNN cited “two sources familiar with” McMaster’s White House meeting on Wednesday with Democratic senators describing the confab as being about ideas to continue the Iran nuclear agreement. McMaster walked a political tightrope in the meeting, according to the report, careful not to directly oppose the president while making clear he is seeking to save the Iran deal. The sources said the meeting was clearly intended for McMaster to get ideas from key Senate Democrats on how to avoid decertifying the Iran deal, which many in both parties think would destabilize relations with allies and make it harder to confront foes well beyond Iran. 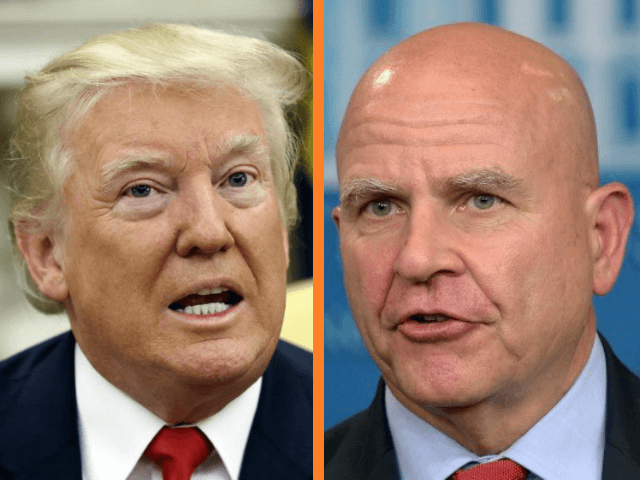 These sources say McMaster never explicitly said he disagrees with the President, nor that he wants Trump to certify that the Iran deal is in America’s national interest. But the sources say McMaster repeatedly responded to Democratic senators’ entreaties not to decertify Iran and instead look for bipartisan alternatives by saying that he is not the one they have to convince, suggesting they were preaching to the choir. McMaster’s controversial former group, the IISS, has been supportive of the Obama administration-brokered 2015 nuclear accord with Iran, and the group has repeatedly hit back against charges that Tehran has violated the agreement. Only last week, the IISS declared that Trump has “no substantive grounds” for declining to certify the U.S.-brokered international nuclear deal with Iran. A closer look at that declaration may be instructive, since the IISS ignored information indicating that nuclear inspections of Iran’s sites may not be as thorough as has been reported by the news media. In the piece, Fitzpatrick relies largely on characterizations from the International Atomic Energy Agency (IAEA), which has reported to the UN four times that Iran has met its nuclear-related obligations as enumerated in the Joint Comprehensive Plan of Action (JCPOA). Fitzpatrick fails to mention an analysis from Dr. Olli Heinonen, former deputy director general of the IAEA and head of its Department of Safeguards, using IAEA data showing the agency’s inspections regime may not be as intrusive and frequent as news media descriptions. Agreeing with the sentiment expressed by numerous Israeli government officials, Heinonen also raised questions about the credibility of the IAEA’s inspection and verification system given that inspectors are not allowed access to Iranian military bases. Fitzpatrick’s sentiments were apparently seconded by Defense Secretary James Mattis, who told the Senate on Tuesday that he believes the nuclear deal is in U.S. interests. In August, the IAEA declared that Iran is in compliance with the nuclear deal. However, U.S. Ambassador to the UN Nikki R. Haley and other administration officials have argued that the IAEA should have access to Iran’s nuclear bases. Questions have been raised about IAEA inspections and the agency’s lack of access to military bases. Haaretz recently cited Israeli officials revealing that a “Western entity” provided the IAEA last year with information regarding sites that Iran did not officially report as part of its nuclear program and where Tehran is suspected of carrying out activities related to nuclear capabilities, including research and development. Breitbart News reported that another IISS donor is the controversial Ploughshares Fund, a Soros-funded nonprofit identified by the Obama White House as central to helping sell the Iran nuclear deal to the public and news media. Soros’s Open Society is also a direct donor to IISS.